As we already know, Japan has surprisingly beautiful landscapes: mountains, volcanoes, shores, lakes and so on. 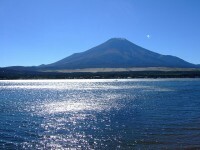 Fuji Five Lakes is one of the most popular tourist destinations of Japan. This place is perfect for both hiking and mountain climbing: the lakes are located at the base of the country’s highest mountain, Mount Fuji. 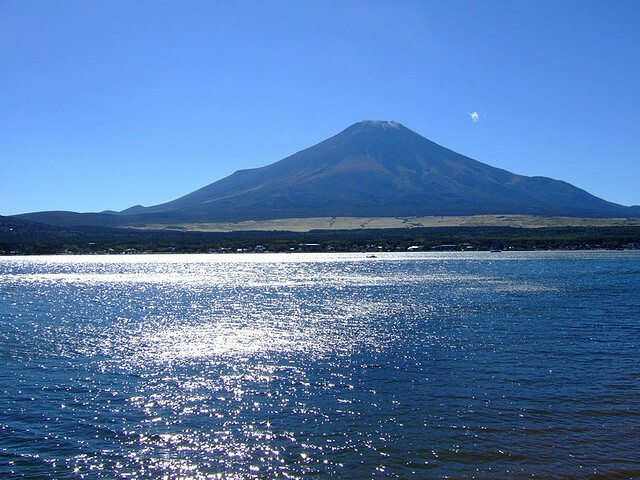 Fuji Five Lakes is the collective name of the following lakes: of Kawaguchi, Motosu, Saiko, Shoji and Yamanaka. All these lakes are above the sea level with approximately 1000 m. As their history is concerned, they were all formed as the results volcanic eruptions of Fuji: the hot lava dammed up some rivers and thus were ‘born’ the lakes. 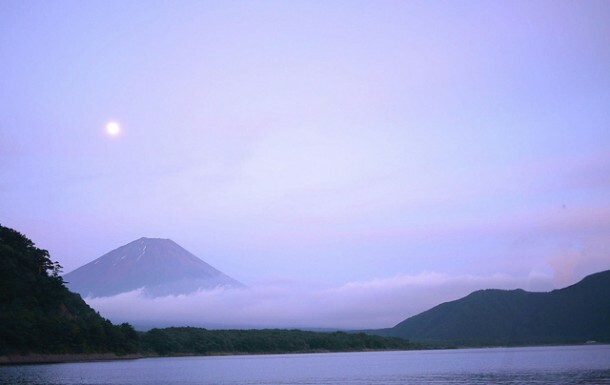 If you happen to visit Mount Fuji, don’t miss out the amazing sights of these lakes! This lake is located in Fuji-Hakone-Izu National Park in Yamanashi Prefecture. It is the most popular and the most visited of the five lakes. The surface of the lake is 6.1 square km and the maximum depth of it is 15 meters. Even though Kawaguchi is connected with Sagami River through a canal, the lake has no primary inflows. In this area, it is the only one lake with an island. 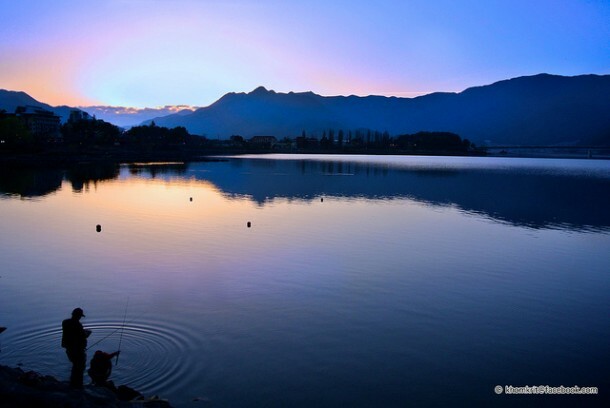 Lake Kawaguchi is a very developed touristic hub: dozens of hotels, restaurants and other institutions around the lake are available for the visitors. Also, it is a hub for the mountaineers who wish to climb Mount Fuji. It is a very good sport fishing spot as well. Motosu is the deepest lake of the Fuji Five Lakes, with a maximum depth of 121 meters. 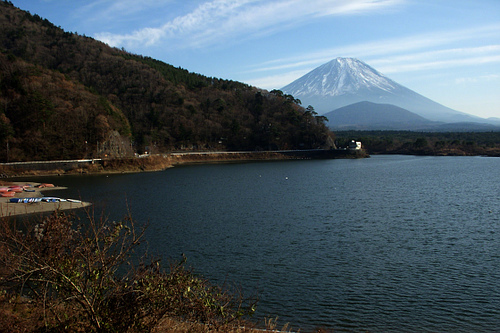 Originally, Motosu, Shoji and Saiko formed a single lake and they were separated as a result of Mount Fuji’s eruption. 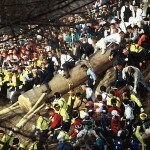 It is said that the three lakes are still connected through underground waterways, somewhere under Aokigahara Jukai Forest. 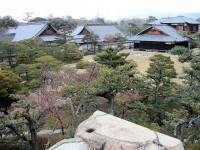 As well as Kawaguchi, Motosu is also an important touristic spot, with many hotels, resorts and other facilities around it. Excursion boats are also available. Even if the lake had been recentlystruggling with pollution problems, it is still a very visited fishing spot. 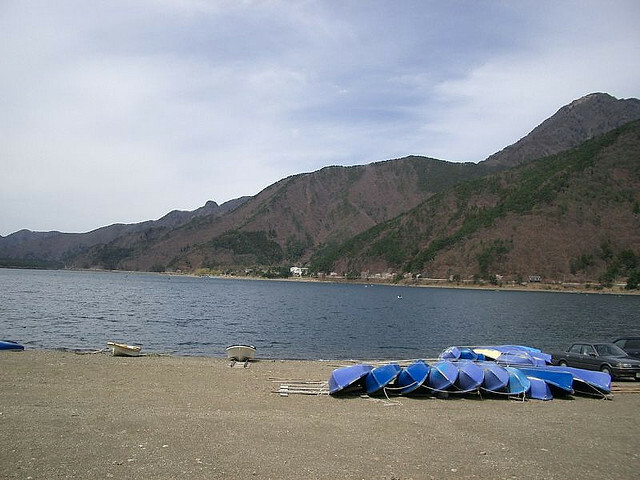 Saiko (or Western Lake) has a surface of 2.1 square kilometers and the maximum depth of the water is 71 meters. 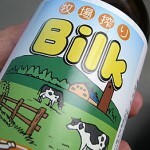 It is the ‘brother’ of Motosu and Shoji, but nowadays it is connected with Kawaguchi through an artificial canal. This lake is also surrounded by hotels and other institutions, to make the visitors feel more comfortable here. Besides sport fishing and excursion sails, windsurfing on the lake is available as well. Rare fish species, such as wakasagi, kunimasu, or the Japanese crucian carp live in Lake Saiko. Shoji is the smallest lake from Fuji Five Lakes, and it is not as deep as the others: it has a maximum depth of 15 meters. The lake is also a popular touristic spot, supplied with hotels, restaurants and other institutions as well. As well as the other lakes, Shoji also has sport fishing between its main attractions. The water has a green color because of the algae living in it. Yamanaka is the largest of the already mentioned five lakes, with a surface area of 6.5 square kilometers. It is the only one Fuji Lake which has a natural outflow: the Sagami River. Hotels, camping cabins and many other touristic institutions surround the huge lake. Located in the Fuji-Hakone-Izu National Park, it is an amazing place for a hike: the sights of the lakes and of Fuji are breathtaking for sure. I gladly recommend this area for every nature lover. Seeing Mount Fuji and the gorgeous lakes around it can be a lifelong memory.